Alan Selking joined the Central Office staff as director of business affairs in May 1997. He is a CPA and primarily serves as the chief financial officer of the Fraternity and the National Housing Corporation. As an undergraduate, Selking served as treasurer, assistant pledge educator, guide, and formal dance chairman. He graduated from the Honors College of Ball State University with a Bachelor of Science degree in Accounting. 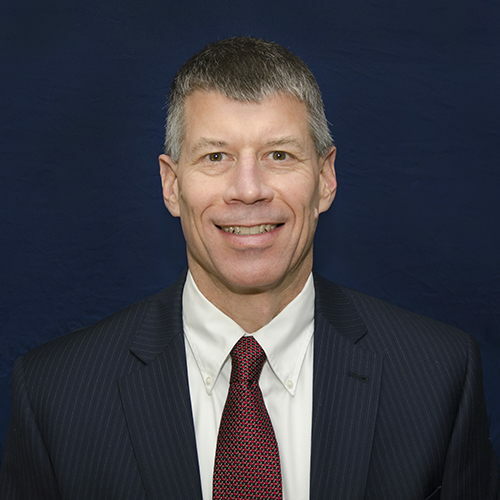 Following graduation, Selking began his professional career with Crowe Chizek & Company (now Crowe Horwath), a large regional public accounting firm. Following three and a half years on the audit staff, he left public accounting to work for a rapidly expanding and privately held corporation. Eight years later a sale of the company forced Selking to decide between relocating to Texas and maintaining his roots in Indiana. A life-long Indiana native, he chose to remain in the Indianapolis area. After a thirteen month stint as controller of a medical billing subsidiary, Selking joined the Fraternity's professional staff as its second ever director of business affairs. Selking resides in Fishers, Indiana with his wife Susan. They have two grown children.